Ringing in the ears (tinnitus) is a non-existing perception of sound or more precisely the perception of sound that occurs without an external acoustic stimulus, and can be presented as a buzzing, whistling, humming or ringing in your ears. The appearance of this symptom can be barely noticeable and completely harmless, but it could also be durable and associated with severe diseases. Tinnitus can be high-pitched or low-pitched sound. Beside the fact that it can prevent you from performing normally your daily tasks, it can also cause a variety of psychological problems, such as irritation, depression and insomnia. Causes of ringing in the ears or tinnitus can be very different. Tinnitus is usually a result of hearing loss that is caused by damaged hearing cells in the inner ear or auditory nerve damage. Hearing impairment can cause noise, certain medications, head injuries and damage of the eardrum and auditory ossicles. 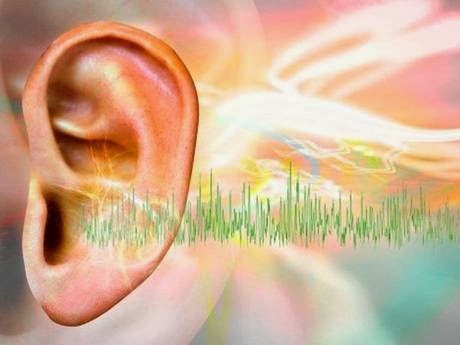 Tinnitus can be caused by anxiety, severe anemia, poor blood circulation in the inner ear and cardiovascular diseases such as high blood pressure and atherosclerosis, especially the arteries of the neck and the head. Tinnitus often occurs with inflammation of the inner ear or middle ear, and the degenerative processes in the inner ear, such as otosclerosis and Meniere's disease. Otosclerosis is a chronic inherited disease of the inner ear which leads to the ossification of the middle ear, which results in hearing loss. The cause of this disease is unknown, but the symptoms are linked to tinnitus and gradual loss of hearing. While Meniere's disease, is damage of the blood vessels which leads to degenerative changes in the inner ear, and one of the symptoms is tinnitus. In addition to poor hearing, suffering from Meniere's disease feel unsafe while walking and fear of a sudden loss of balance. In addition, tinnitus can cause tumor auditory nerve and brain tumor. Since the tinnitus is a symptom of some other disease, it is treated by finding a cure for a primary disease that caused tinnitus. Therefore, there is no unique therapy treatment, depending on the cause, tinnitus can be treated with many different therapy. It is advisable to promptly seek medical assistance and to begin with treatment. Mix minced dried herbs. Pour over 1 teaspoon of tea(mixed herbs) boiling water, cover and let it for 10-15 minutes, thann. Drink tea 2-3 times a day. Mix minced dried herbs. Pour over 1 teaspoon of tea boiling water, cover and let it sit for 10-15 minutes, than strain. Drink tea 2-3 times a day. Mash garlic, while chopping wormwood leaves and roses a mortar. Mix in the bran crushed garlic, roses and wormwood. Eat one part, and the other part wrap in some gauze and put on the ears as a compress, and let it dry overnight.